This clifftop mansion is home to fantastic views from its manicured garden, an indulgent spa & fine dining that brings you the very best of Cornish hospitality. With miles of stunning coastline, rolling moorland and protected heathland this stretch of countryside won't fail to enchant! Tuck into award-winning fare at the hotel's 2AA Rosette Starred restaurant where local ingredients are expertly combined to create memorable cuisine. Perched on the edge of a high cliff outside the village of Mullion, with wonderful sunsets over the Land’s End peninsula. It’s a five-minute walk to a lovely sandy beach. 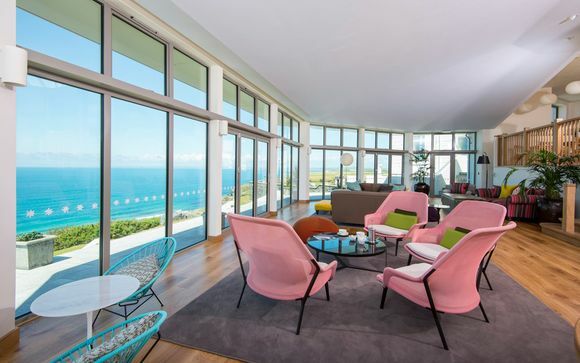 A vast new conservatory has transformed the experience of staying here whatever the weather and offers a bird's eye view of sunset over the ocean. Starting life as a Victorian railway hotel, this clifftop hotel has welcomed visitors to the Lizard Peninsula throughout its history. Famous figures such as Marconi, Churchill & Clark Cable have all come to this clifftop hotel to soak up it's sublime sea view. 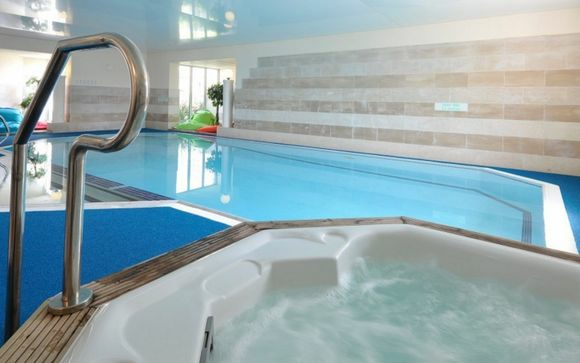 From the panoramic pool to the pampering hot tub, everything in this hotel is geared towards utter relaxation. These de-cluttered, modernised rooms feature large windows that perfectly frame the world outside, bathing the room in light & captivating the eye. - Inland Facing Room (max. 2 persons): All of these rooms come with luxurious feather bedding, flat-screen TVs and Voya toiletries...making your room the perfect place to retreat to. - Sea View Double Room (max. 2 persons): Wake up every morning to excellent sea views, its a fantastic base for romantic seaside breaks. - Superior Sea View Room (max. 3 persons): Featuring wonderful views of the coast and contemporary décor, these airy rooms have plenty of space to spread out. - Inland Facing Large Double Room (max. 4 persons): Large & modern, these rooms are ideal for couples and families alike. - Large Superior Sea View Room (max. 4 persons): Magnificent sea views, stylish décor and lots of space make these rooms the ideal choice. - Inland Facing Garden Family Room (max. 5 persons): These comfortable family-friendly rooms include a master bedroom, separate twin room and shared bathroom, all of which looks out onto the hotel's peaceful gardens. - Inland Family Room (max. 5 persons): With a master bedroom and separate children’s room, this light and airy family option offers plenty of space to breathe. - Superior Sea View Family Room (max. 5 persons): These spacious rooms feature large windows that perfectly frame their unrivalled sea views. - Superior Sea View Family Garden Room (max. 5 persons): This option features two bedrooms, sea views and patio doors leading to the garden make these rooms a spacious family option. Please note: the bed for the 3rd, 4th or 5th guest sharing is likely to be a sofa bed or camp style bed. 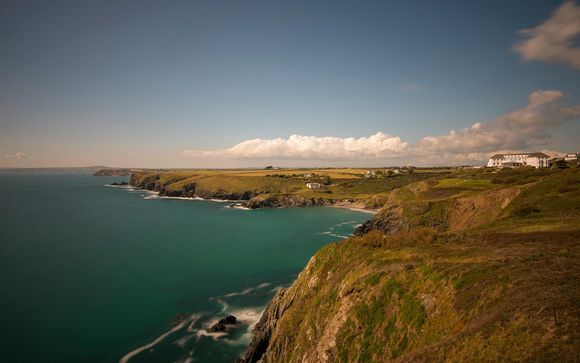 Whether it’s organic beef reared on Goonhilly Downs or mackerel caught off the Lizard, this hotel loves using ingredients from local farmers and artisan suppliers. 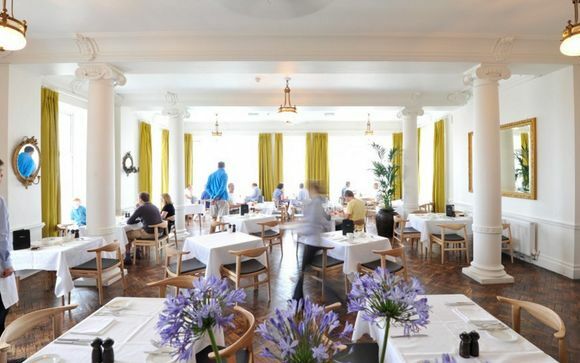 Choose casual dining in the aptly named Vista Lounge or more formal dining in the 2AA Rosette restaurant where you will find carefully sculptured masterpieces. Experience total relaxation and an escape from everyday stresses at Purity Spa. Sink into the hot tub, hit the gym or simply lounge by the outdoor pool drinking in the views: this spa has everything you need to relax, recharge and feel incredible. Your hotel is approximately 1hr / 28miles from TruroTrain Station which is approximately 4hrs 45mins from London Paddington.